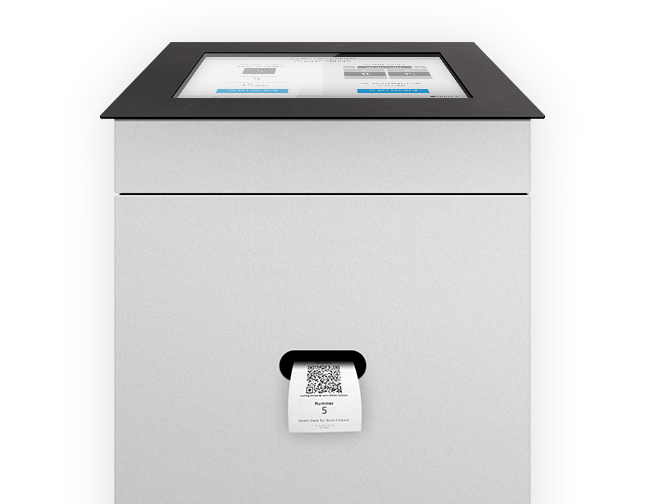 timeacle - The smart queue management system! timeacle is using cookies to deliver the best website experience to our customers. Furthermore cookies of third party services are used. YOUR CUSTOMERS CAN BOOK APPOINTMENTS ON THE GO. FULL CALENDAR. EMPTY WAITING ROOM. MANAGE AND CONTROL YOUR CLIENTS EASILY WITH THE OPERATOR. at a kiosk or terminal. screen with PC and printer as print station. with the mobile phone or tablet. YOU CAN OF COURSE PURCHASE THE COMPLETE PRINTING STATION FROM US. OPTION OF RESERVING A TERMINAL. QUEUEING SYSTEM PROVIDED AS ‘SOFTWARE AS A SERVICE’! NEED MORE LICENSES? NO PROBLEM! BOOK ADDITIONAL ONES FOR EACH 1,99 € PER MONTH. Ease your waiting time. 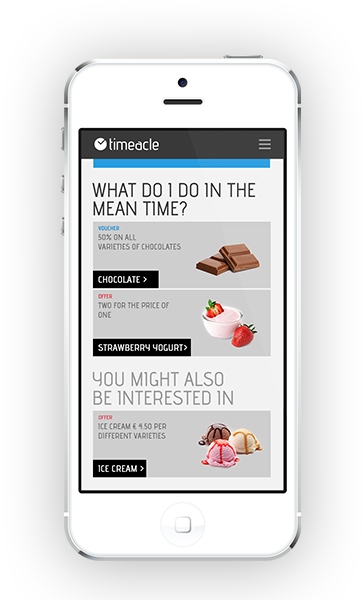 Wherever the timeacle call system is used your coupon will automatically be displayed on the smart phone as an alternative to the waiting time. The possibility of tracking the current waiting number and waiting time on the smart phone automatically expands the waiting area to include all the local vicinity. IF INTERESTED YOU CAN UPGRADE YOUR LICENSES.